Sanjay Singh also alleged that the sanctity of polls was "under question" in view of "manipulation" of the electronic voting machines (EVMs). 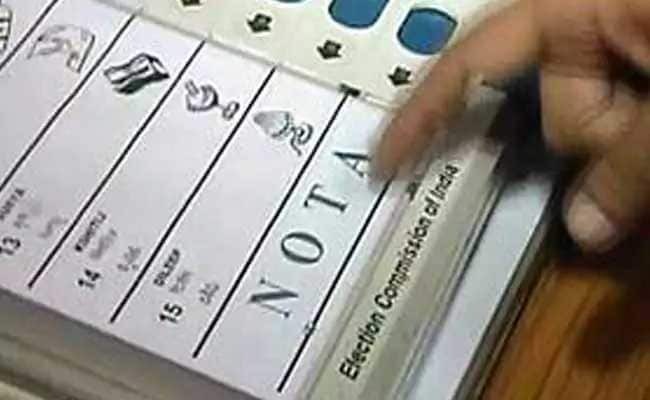 The Aam Aadmi Party Monday raised the issue of alleged mass deletion of votes in many states and demanded paper ballots in place of voting through electronic voting machines at the all-party meeting convened ahead of the Winter session of Parliament. Rajya Sabha MP Sanjay Singh voiced concern over the reports of mass deletion of votes in states, including Delhi, where he claimed "huge" number of votes of Purvanchali and Bania communities were removed from the electoral rolls. "Lakhs of votes of Bania and Purvanchali people have been deleted in Delhi. Such deletions have also been reported from other states. Were these illegal Bangladeshis who were removed from the voters' list?" he told PTI. The AAP leader also alleged that the sanctity of polls was "under question" in view of "manipulation" of the electronic voting machines (EVMs). "I demanded paper ballots for the coming elections as there are reports about EVMs being found at highways and the house of a political leader," Mr Singh said. The AAP lawmaker also raised farmers issues, including dues of sugarcane growers in Uttar Pradesh, and reported demolition of a temple in Varanasi, at the meeting. The Winter session of Parliament will begin from Tuesday.